Benefits for a total of 25 travel agents. Travel Agency accreditation and identification are the very building blocks for a successful independent travel agency. If you’ve built your agency on a strong foundation and have up to 25 Independent Contractors working for you, it may be time to upgrade to host agency status. 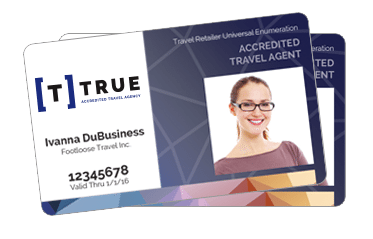 CCRA’s Travel Agency Accreditation is powered by the world renown TRUE Code, accepted by hundreds of travel suppliers around the globe. With up to 25 ICs operating under your TRUE Code, you’ll build volume quickly and start earning those top-tier commissions for your travel agency business. And, you’ll save hundreds of dollars over adding each agent to a CCRA Accredited Agency Membership. Your agency is recognized and paid commissions directly – no sharing or splits. Your agency and your ICs are building volume with suppliers under your own name. Your customers remain your customers – forever. You choose the suppliers you want your agency to do business with. You choose the tools you want to run your sales and marketing programs. You get professional Photo ID cards for all of your agents. Your credibility is elevated by having a known travel professional credential. Wanna See Who Accepts the TRUE Code? You must be a corporation, LLC or sole proprietor. If you're a sole proprietor, you'll need proof of a registered DBA, Assumed or Fictitious Name. You must be willing to pass a background screening if needed. You must satisfy all seller-of-travel requirements for your state. States which currently require a bond and seller of travel license are California, Florida, Hawaii, Iowa and Washington state. You must be able to demonstrate at least 6 months of travel selling experience. You must have 3 business references to support your application. You must provide proof of an active business bank account in good standing. You must actively manage the agents you allow to operate under your TRUE Code. Still unsure if an accreditation through us is right for your agency? Why not reach out and talk to us about the benefits of TRUE accreditation and all of the other benefits of working with CCRA? Make sure your agency is getting the direct recognition it deserves. From the top cruise lines to boutique hotels and in-country tour operators, connect directly and get rid of shared commissions! When you obtain our highest membership level, your agency will get access to a consumer facing website packed with content for your use, increased training opportunities and more. 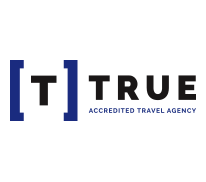 With a CCRA Accreditation powered by TRUE, you can advertise your travel agency as an accredited travel business - meaning your agency has passed rigorous screening and verification standards. A complete set of CCRA Accredited logos to use on your materials. Listing on CheckATRUECode.com for easy supplier verification. No-charge professional photo ID card for you and up to 4 additional agents. Exclusive social media and marketing training with Margie Jordan. Taking the step to become a TRUE Host Agency is a big one - here are the differences you can expect. This annual fee includes benefits for 25 travel agents, including yourself. You can self-manage your team through ccra.com once approved. If you are an existing CCRA Accredited Agency in good standing, you can upgrade for $250. Your host agency membership lasts 365 days, no matter when you join. Every agent without your agency will receive a professional photo ID card at no additional charge. All of your agents will be fully eligible for all CCRA benefits, including free admission to PowerSolutions Live. If you have agents spread over several CCRA chapters or regions, they are free to choose the chapter that's most convenient to their location. *Sites Powered by Voyager Websites. ** Launching Q3 2017. Extra fees may apply.